Photograph by Abbie Rowe – Courtesy of the National Park Service. 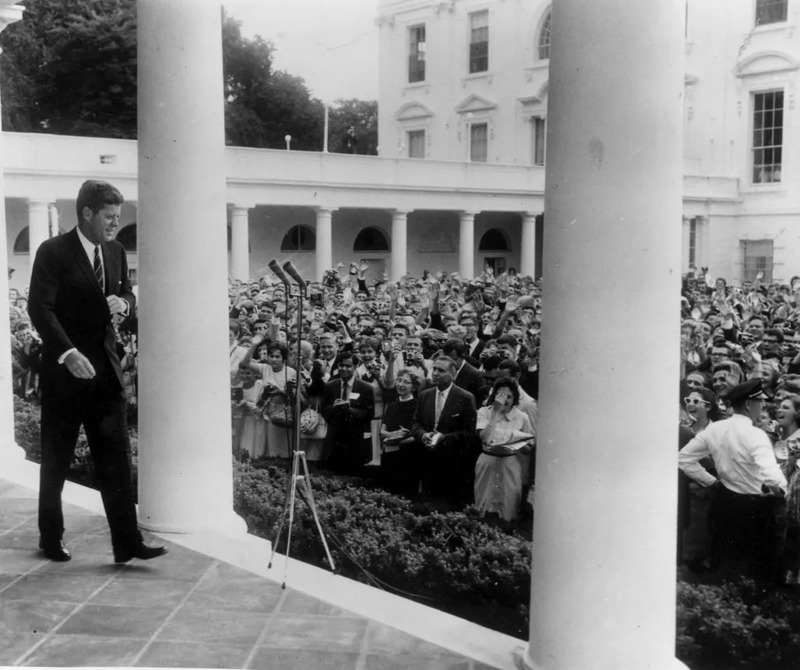 This photograph shows President John F. Kennedy walking to the microphone before addressing AFS students at the White House in July 1961. Kennedy spoke to AFS students in Washington, D.C. three times during his presidency, including in July of 1963, when he met them on the South Lawn of the White House. Kennedy commended the American Field Service for their activities as a voluntary ambulance organization during World War II, and addressed the students directly about their role in creating a more peaceful world. Listen to Kennedy’s 1963 speech to AFS students here!